Arien Sirois is very excited to be a part of the Palermo Physiotherapy and Wellness Team in Oakville. 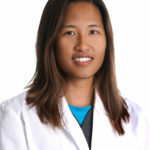 As a Registered Chiropodist, her role as a health care professional specializes in the assessment, management and prevention of diseases and disorders of the foot. Her educational background prior to becoming a Podiatric Foot Care Specialist includes an Honours in Health Sciences degree from the University of Ottawa. After her undergraduate degree she decided to pursue the study Chiropody (Foot Care) at the Michener Institute in Toronto. Prior to coming to Palermo Physio and Wellness, Arien was at a multidisciplinary clinic focused on high risk and Diabetic footcare. She believes that appropriate podiatric footcare by a Chiropodist is an important and vital aspect of overall health. This includes everything from routine diabetic foot care and foot screenings to ingrown toenails and wart, fungus and callus treatment on patients of all ages. In addition to her passion for footcare, Arien loves to travel, having visited many countries including Bolivia, Peru, Thailand, Indonesia, France, Japan, and immersing herself in the culture. On her spare time, her hobbies include skiing and snowboarding in the winter and golfing and mountain biking during the summer. She also loves to try new things and have recently started to learn how to windsurf. Arien is very happy to be joining the team at Palermo Physiotherapy and Wellness Centre and looks forward to treating her foot care patients in the communities of Palermo, Oakville, Milton and Burlington.